WILMINGTON — A Blanchester man found guilty of shooting his girlfriend was sentenced to 10 years in prison Wednesday. 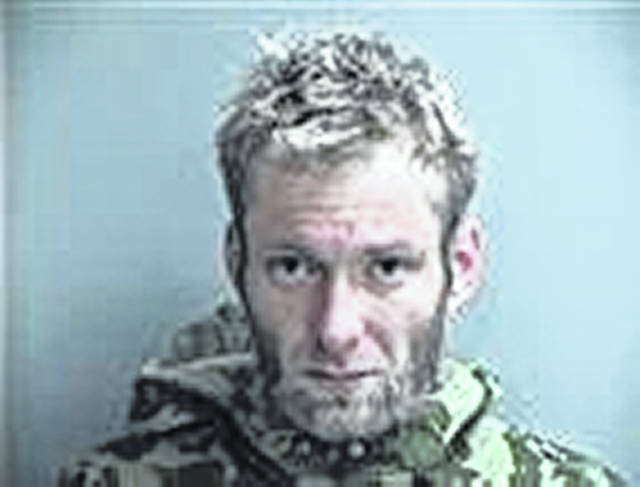 Clinton County Common Pleas Judge John W. “Tim” Rudduck sentenced Jamie McLaughlin, 31, to seven years on a felony 2 felonious assault charge and the maximum three-year sentence for a felony 3 weapons under disability. McLaughlin was found guilty on these charges by a jury on Oct. 31, 2018, in relation to the May 2, 2018 shooting of his then-girlfriend, Mary Neace. Before sentencing, McLaughlin spoke to the court about the last 10 years of his life. He referenced how maintaining a job after a previous jail sentence for drug trafficking was difficult, how he was “stabbed in the back” by numerous people, and how this incident was an accident. He also asked the judge to show mercy on him. He went on to apologize to Mary Neace, who was not present, her family, his family, and then thanked local emergency service officials and the doctors, nurses, and staff at Miami Valley Hospital. Judge Rudduck, before handing down his sentence, told McLaughlin, “I don’t judge people, I judge facts” and how he “tries to take emotions out” as best he can. Rudduck told McLaughlin part of his assessment in sentencing is looking at McLaughlin’s history including previous offenses, his Ohio Reassessment Report, and a pre-sentence investigation report (PSI). The state, represented by Katie Wilkin of the Clinton County Prosecutor’s Office, recommended McLaughlin receive the maximum prison terms on both charges. Rudduck gave McLaughlin seven years (the maximum was 10), citing that McLaughlin at least notified emergency services after Neace was shot. Rudduck gave the maximum three-year recommendation on the weapons charge due to the circumstances of the offense, calling it “the worst weapons under disability case” he has ever had. “The felony drug cases triggered a disability that you’re not supposed to be handling weapons and you were intentionally handling, to your own admission, weapons here which resulted in the commission of a much more serious crime,” Rudduck said. He went to say he found this was an “unprovoked attacked” that resulted in “serious physical harm” to Neace, who “may well likely suffer lifetime medical issues” from the shooting. Rudduck was critical of McLaughlin’s speech and letters McLaughlin had written to him, saying that “most of it is about you,” and how little they were about his actions and the damage done to the victim and her family. “I thought the first thing out of your mouth would’ve been, even if it was negligent assault, ‘I’m sorry,’… this was all about you,” he said, adding the remorse McLaughlin showed appeared minimal. McLaughlin was sentenced to serve these terms consecutively at the Ohio Department of Rehabilitation and Correction Services. The term could potentially be reduced if McLaughlin completes productive, participation, education and employment programs. When released, he will be supervised under mandatory post-release control for three years. Rudduck went on to commend the courage that Mary Neace and her family had shown during the proceedings, and for testifying. “If people stop having that courage, things like this don’t get resolved,” said Rudduck. Four additional charges, including attempted murder, a third abduction charge, assault, and receiving stolen property were dismissed during a bench trial in Judge Rudduck’s court on Tuesday. Those charges were in relation to a May 5, 2018 incident — just days after the incident for which he will be imprisoned — where McLaughlin was accused of brandishing a machete and holding two subjects hostage. Defense attorney Scott Evans referenced how neither of the alleged victims stated in their testimony that they were physically restrained or intimidated by his client with the machete. “Based on the disconnected stories, the lack of actual substantial threats, the lack of actual physical contact … the complete absence of physical harm or material restraint, I’m absolutely sure my client is innocent,” said Evans.